Welcome to the Southwood School website, which will give you all the information you need as a parent, carer or visitor to our school. Southwood School is federated with Downs Barn School, sharing the same Governing Board and Leadership Team. 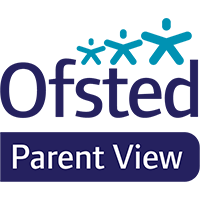 In November 2017, we were very pleased to be judged by Ofsted as a Good school once more. The letter confirming our judgement stated that pupils are proud of the school and that both children and parents/carers feel that children are safe here. It also said the school is a happy school because of the high levels of pastoral care given to children. We are very proud of the progress our pupils make in their time with us in terms of both educational and personal development. Our End of Key Stage 2 results for 2017 to 2018 at Southwood showed some very positive outcomes, such as: the percentage of children achieving a high test mark in Reading was 11% above the national average. We also increased the number of pupils achieving the expected standard in Writing, so that it is now in line with the national average of 78%. For full details of our results, please look at the results section in the About Us section of the website. At Southwood and Downs Barn, we have a vision that children should Achieve, Create, Enjoy, because Together Everyone Achieves More. Our ACE TEAM vision is embedded in the 4 Rs values that we share with the children, where we RESPECT one another, we build our RESILIENCE to challenges, we take RESPONSIBILITY for our actions and we REFLECT on our learning. Children at Southwood are provided with a rich and exciting curriculum. We have a focus on outside learning to interest and engage our pupils and we are keen to develop all areas of the curriculum. Our choir takes part in Young Voices and we have numerous sporting teams who compete in local events such as cross country, athletics and football competitions. If you would like to come and visit the school, please contact the school office (01908 678366), so that we can arrange a convenient time. Thank you for visiting the website. Please take a few moments to look at the Blogging site (click on the Blog icon above), where all the classes share their learning through each term. Please click the above to link to access the MKSCB website. If you have any concerns regarding Safeguarding at school, please contact the Headteacher without delay.